If you have time for only a hike or two this summer, Lake of the Hanging Glacier should, arguably, be at the top of your list. Typically, it's a later in the season hike, as the bridge over Hell Roaring Creek is not installed until the start of the summer hiking season (late June/early July) after the danger of any washouts has passed. It's removed again in the fall. A big thanks to the Summit Trail Makers Society for taking on this tricky task every year. The trail starts by following a gentle grade along the north side of Horsethief Creek. The trail swings away from the creek at 1.8 km climbing through the forest until you reach the turbulent Hell Roaring Creek. Plunge back into the forest on the other side of the creek for another 1 km before reaching the new permanent aluminum bridge supplied by Recreation Sites and Trails BC. From here the trail climbs steeply through the forest beside Horsethief Creek. Don't count on intimate conversation with your partner on this portion, as you climb higher the creek turns into a raging torrent. The trail is shaded and cool on those hot summer days and there are several great viewpoints, an opportunity to catch your breath and enjoy the cool mist coming off the creek. This stretch is one of the highlights of the hike, the creek at this point looks like a kilometre long waterfall as it rushes down the mountain. As you veer away from the creek, the noise recedes into the background and the solitude of the forest returns. A steady climb takes you over avalanche slopes and a couple of two-log bridges. Eventually the trail emerges from the forest with views of a cascading waterfall coming from the lake. Make sure you have your camera handy for some shots of the always curious marmots lazing around the rocks. The real reward is just over the ridge. Be prepared to have your breath taken away, as you get your first glimpse of the mountains and glaciers that flank this spectacular lake. You will want to spend some time at the lake. It’s the perfect spot to stop for lunch with a backdrop of ice floes, glaciers and snow-capped mountains! 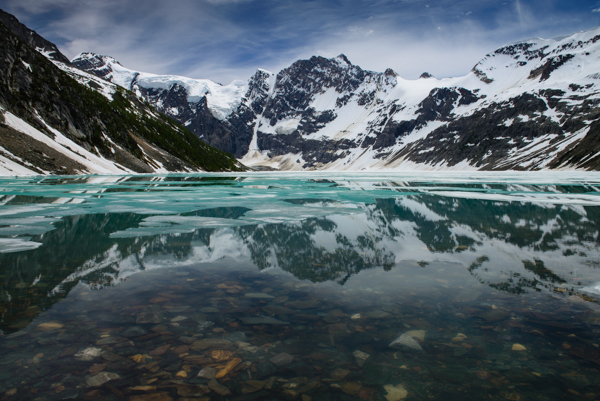 If you want a close-up view of the glacier, hike over rocky terrain on the east side of the lake. There is no trail. Caution: even on the hottest days of summer, it can be cool and windy at the lake. Have some warm clothing on hand. High clearance vehicle recommended/watch for logging trucks. Set your odometer to zero at the traffic lights on Highway 93/95 at the Invermere junction. Go west into Invermere. At 2.6 km turn right onto Panorama Drive. At 4.5 km just after the Toby Creek Bridge, turn right toward Wilmer. At 7 km turn right onto Main St and drive through Wilmer onto Westside Road. At 17.8 km turn left onto Horsethief Forest Service Road. At 22 km turn left at the Y-junction to stay on Horsethief FSR. At 36 km turn right at the fork (beside 27 K marker sign). At 49 km take the right fork and cross the bridge. The trailhead parking lot is at 57 km. Caution: the road narrows because of a washout about a kilometre from the trailhead. Travel time is approximately 1 hour 45 min from Invermere. Bridge over Hell Roaring creek is installed in early July and removed in early October. Check to make sure it is in place before heading out! This trail is actively maintained by the Summit Trail Makers Society in partnership with Recreation Sites and Trails. 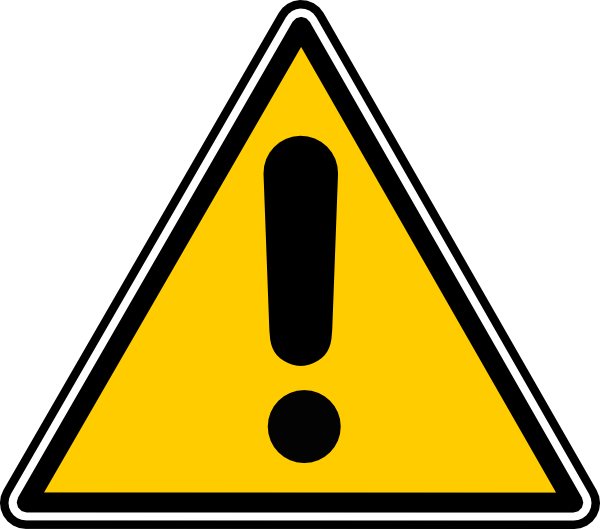 Please report any maintenance issues directly to them - summittrailmakers@gmail.com.